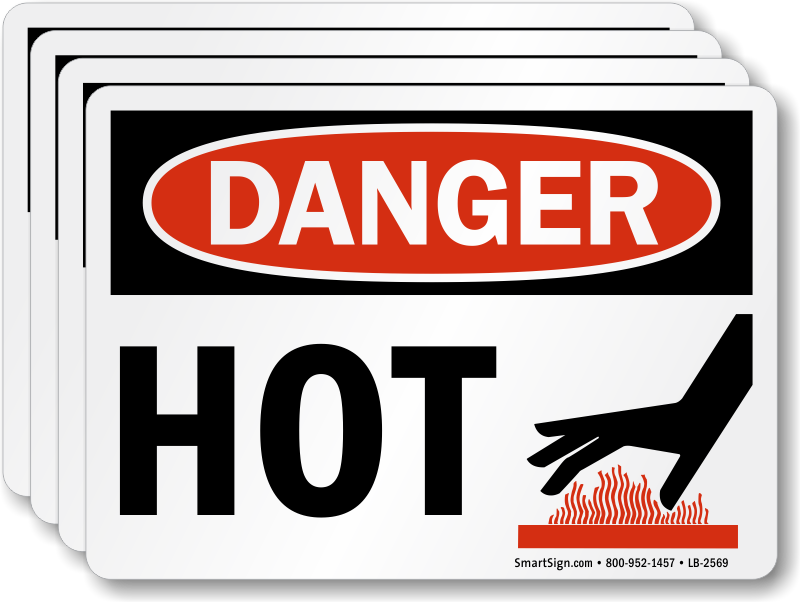 Hot surfaces can cause serious burn injuries. 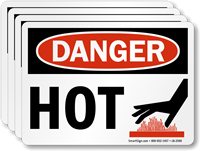 Take care of your staff and visitors by giving them a warning before they touch a hot surface. Hot surface graphic makes the label understandable, breaking linguistic barriers.